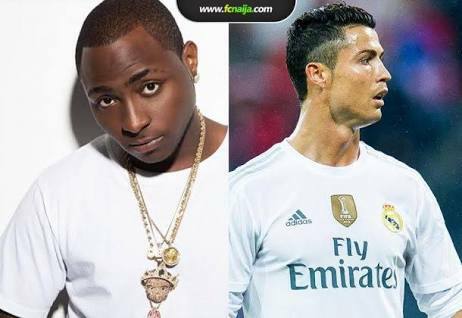 Nigerian singer and international superstar Davido has finally opened up on his relationship with Real Madrid Star Christiano Ronaldo. The singer who happens to be a great fan of the popular footballer mentioned his name in one of his `2017 hit singles- Fall which left everyone dazzled. Ronaldo later followed Davido on Instagram which most definitely means that the footballer did hear the song. In a recent interview with Goal, Davido stated that Ronaldo is his friend but they haven't had the time to meet as both parties were also busy. He also mentioned that he would like to do a video with the footballer though not a music video but he's still thinking about the concept so we should probably expect something soon.